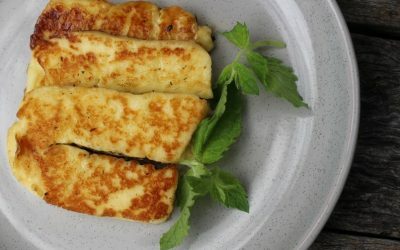 Where Does Halloumi Cheese Come From? Mmmm halloumi! Firm, slightly springy with a unique salty flavour that is unmistakable. Have you ever wondered whilst chowing down at your favourite brunch spot or while cooking halloumi at home “where does halloumi cheese come from?“ Well have no fear – we got you covered! 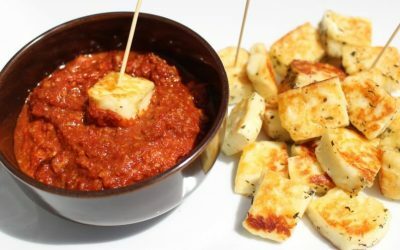 From its origins in Cyprus and the Middle East, to the plates of your favourite café, we take a look at the history of halloumi cheese! Find out how it came to be everyone’s brunch favourite. Halloumi may appear to be “just a delicious cheese” to some. To Cypriots, it is a vital part of their diet and a source of national pride. Halloumi originated in Cyprus, and Cypriots still make and enjoy it there today. The name halloumi comes from the Greek work “almi” which means salty water. During the Medieval Byzantine period (395 – 1191 AD), it is said that farmers produced Halloumi as a key source of protein for Cypriot villages. Villagers all made batches together. This resulted in special cheesemaking and different ingredients depending on the area of origin. Cypriots preserved Halloumi in a salty brine. This meant it was an ideal cheese to make and use without refrigeration. This made it a popular protein and dairy source for centuries. They also found that wrapping halloumi in mint leaves not only improved the flavour but kept the cheese fresher for longer. Mint is still today a popular accompaniment to halloumi. At Olympus Cheese, we fold mint into two of our halloumi varieties. It was all in the milk…even then! In Venetian times (around 1554) there are reports of “caloumi” being widely produced in Cyprus. “At those times the Halloumi season was in March when the yield of quality and fat-rich milk was at peak. On those far days this sort of cheese was produced strictly of goat or sheep milk, their mixture was applicable as well. Containing goat and sheep milk the cheese had and having now a specific tangy and creamy taste which forms its distinguishing feature. The secret of cheese making was transferred from generation to generation. Halloumi production was a social activity. 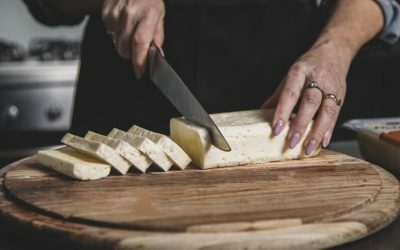 The families and neighbors of the same village united in the cooperatives to produce enough cheese for the next period,” Mediterranean Diet for All – The History of Halloumi Cheese. Today, halloumi is registered as a protected Cypriot product with the United States. 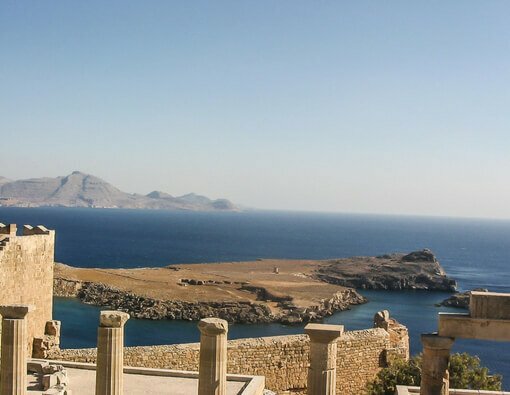 Cyprus is attempting the same process in the European Union currently. It not only remains a staple ingredient in many Mediterranean and Middle Eastern homes but has become a family favourite in other parts of the world too. 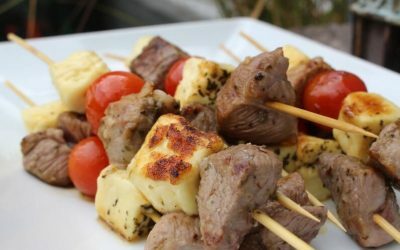 In Cyprus, people eat an average 8kg a week of halloumi. 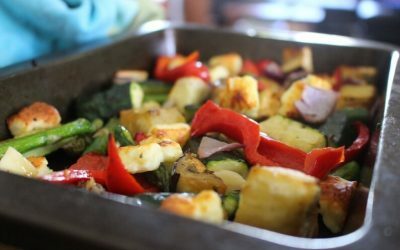 The UK also has a large appetite for halloumi, consuming more than any other European country. The flavour you taste when you eat Halloumi differs depending on the source of milk it is prepared from. Most commonly it is made from sheep, goat or cow milk. Olympus Cheese also make a Buffalo Milk variety. Typically, in Australia, halloumi is made on cow’s milk as goat and sheep milk is less abundant. The Australian palate has developed a taste for this Australian-style halloumi. When made on cow’s milk it has a sweet grassy flavour combined with the salty textured overtones found across all milk varieties. 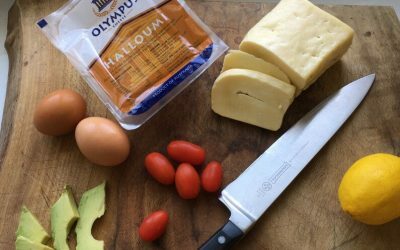 Olympus Halloumi, like many cheeses in Australia is made on non-animal rennet, so the products are also well received by a vegetarian market. 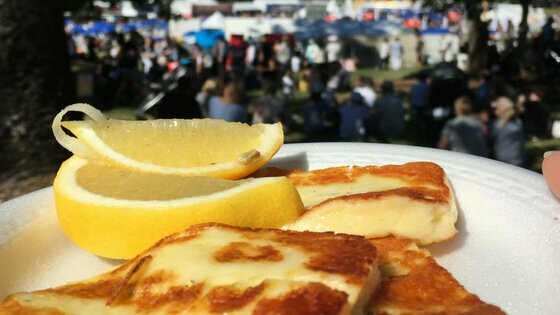 Halloumi is wildly popular in cafes across Queensland, the brunch capital of Australia, and befittingly, the home of Olympus Cheese. Why? Perhaps it’s because of the delicious taste, or the variety of recipe options to suit all seasons, and accompaniments that compliment it. Lastly, and perhaps importantly, the cheese holds its shape perfectly when grilled or fried. This means it looks so damn good when photographed you can almost taste it. Or feast your eyes on our range of halloumi cheeses available in leading speciality grocers, delis, fruit shops and IGA’s across Australia.